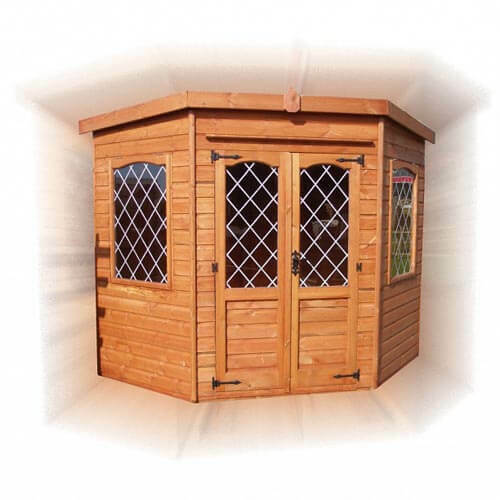 This attractively designed summerhouse, with leaded glass, gives you great style and practicality, letting you enjoy your garden to its full. As timber is a natural product, maintenance is needed, but we ensure the buildings arrive in the best condition possible. From summer barbeques to winter mornings, you can enjoy your garden all year round. This model is available from 6ft x 6ft through to 8ft x 8ft and has a variety of optional features.